Despite not having super powers, Batman is one of the most impressive characters in the DC Universe – he’s constantly pushing the limits of both his mind and body. Thanks to years of studying and training, Gotham’s protector has what it takes to hold his own against, well, just about anyone in the DC Universe. Give the guy a little time to prepare and he can even make Darkseid back down. Impressive, yeah? Batman is still human, though, and unfortunately, that means he has his limits. Bane purposely set up a scenario which pushed the hero to his breaking point, both physically and mentally. By the time Bane revealed he was the mastermind behind all of the chaos, it was too late for Batman to stand a chance. 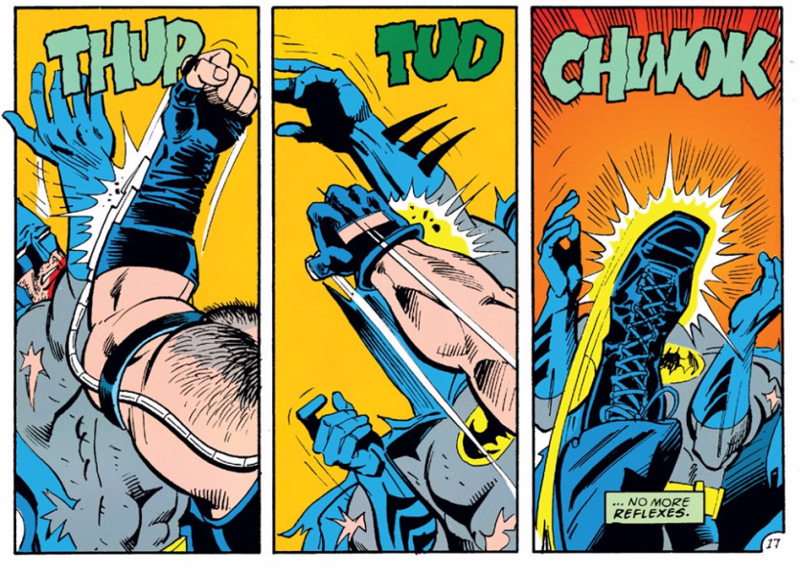 Before Bane broke Batman’s spine, Batman himself was already broken. With Bruce Wayne incapacitated, Gotham was Bane’s for the taking… until Jean-Paul Valley said otherwise, that is. 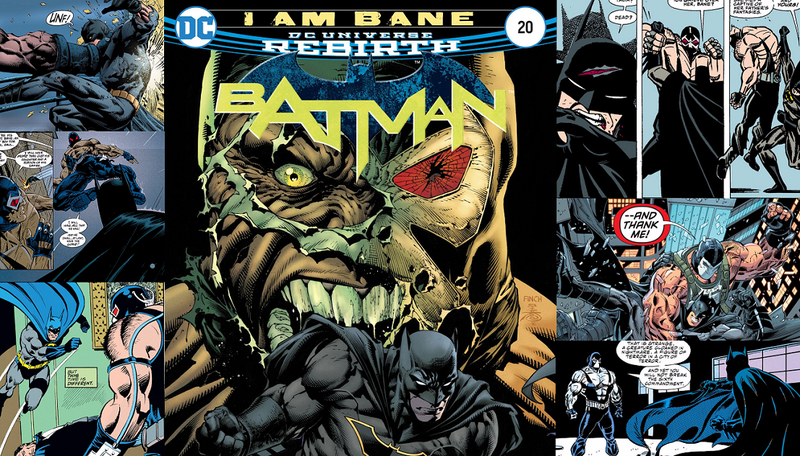 Bane – cured of his addiction to Venom – challenged Batman! Bane actually took the edge at one point and started to drown Bruce; however, the act of trying to kill the hero slowly led to Bane’s downfall. The pain that Bruce experienced reminds him of the pain he felt when he lost his parents, so he took all of that rage and began to let loose. After a few good hits, Bane went down for the count. 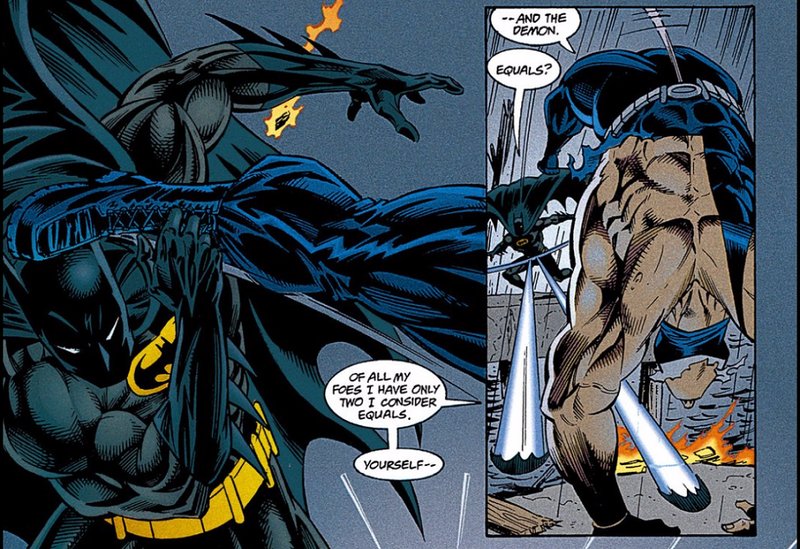 During Forever Evil, Batman’s absence caused a power struggle in Gotham. As the villains roamed the city, Bane defeated everyone who dared to oppose him and then claimed he was the new protector of Gotham. Obviously, the Dark Knight eventually returned and quickly engaged his enemy. Bane just finished injecting himself with some Venom, but despite that advantage, Bane is unable to win the fight. 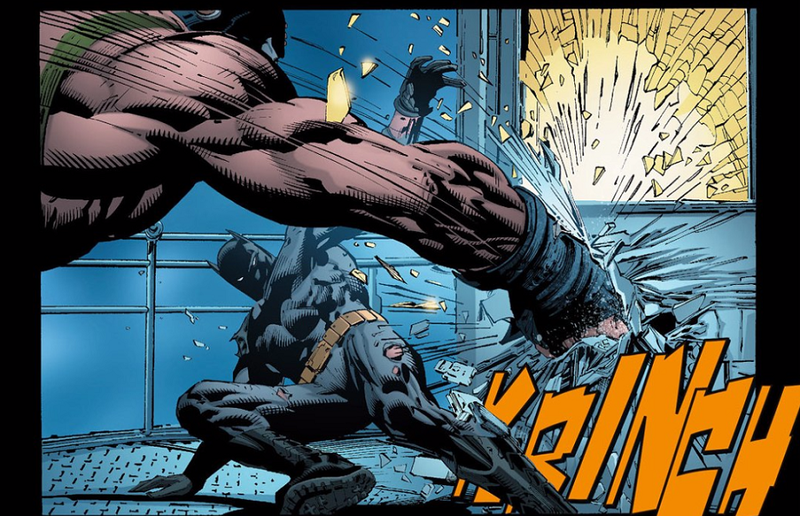 The two exchanged some downright savage hits, but it’s game over once Bruce started swinging away with a stone statue. 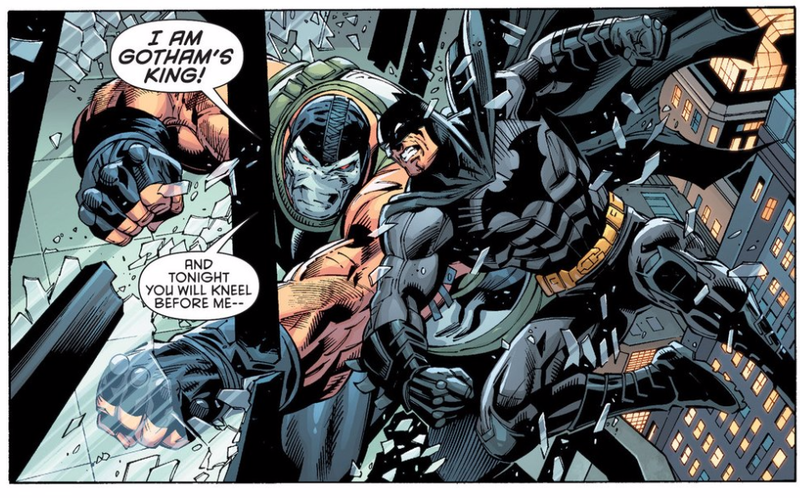 During No Man Land’s mayhem, Bane returned to Gotham in an attempt to become its King. Batman pretty much said, “No way, Bane” and the two began to slug it out. Bane wasn’t on Venom at that point and the two basically went blow for blow. Batman landed a few solid hits in the end but it’s wasn’t enough to defeat the big guy. Instead of continuing the melee, Bane told Batman that a bomb had been planted under a soup kitchen, so the hero had two options: keeping fighting, or race off to save some innocent people. Obviously, Batman chose to leave the fight. Bane was determined to destroy Gotham. As you can imagine, Batman wasn’t totally cool with that, so he confronted the fearsome fiend. 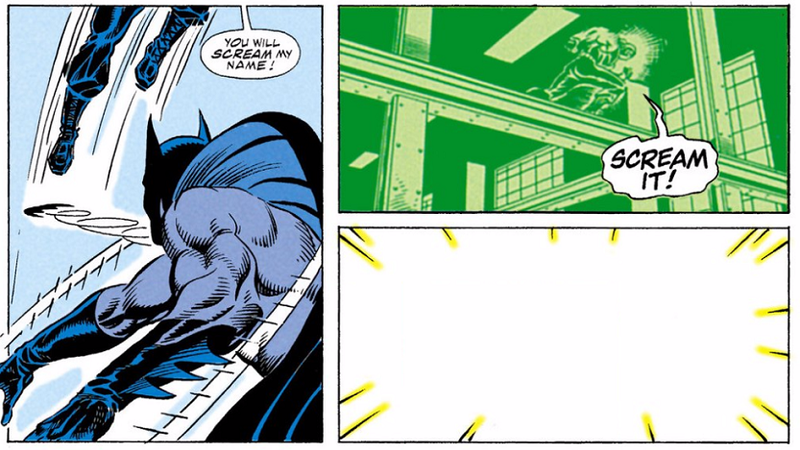 Bane got a few clean hits in, but Batman fired back, even knocking the big fellow down some stairs. The brawl ended there because Bane decided to bring a rocket launcher to a fist fight – not cool, man. After a big explosion, Batman dodged some debris and Bane vanished. Neither of them technically “won” the fight, but it definitely ended on a high note for the Caped Crusader. Nightwing, however, wasn’t so lucky in this issue. He took on Bane twice and both times he was swiftly defeated. When Bane made his first appearance in The New 52, he was bigger, stronger, faster, and allegedly even smarter. In fact, he was so much more physically impressive that his encounter with Batman was completely one-sided. The Justice Leaguer tried to use some gadgets, but nothing stopped Bane. In the end, Batman only survived Bane’s onslaught thanks to a last minute save from the Flash. 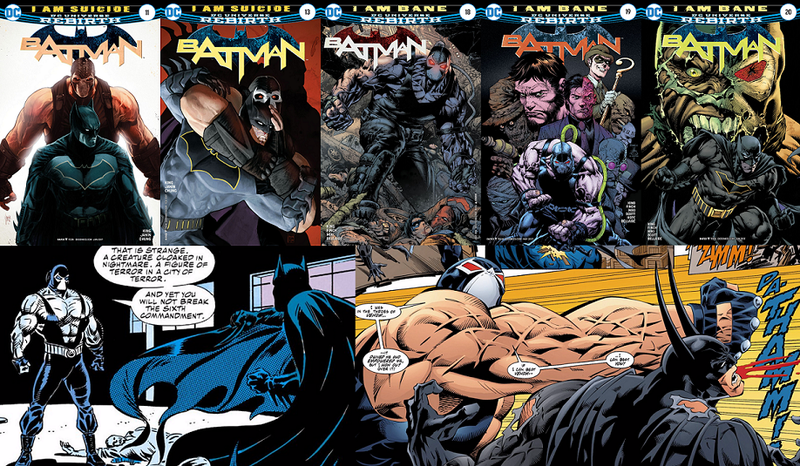 In case you haven’t been reading the current Batman series (tsk, tsk), Bane and Batman have fought twice in the series. Both times, Bane demolished the World’s Greatest Detective, but it was all part of Batman’s plan – the dude always has a plan, doesn’t he? Well, I guess if he was unprepared he wouldn’t really be Batman. Anyway, Gotham’s hero endured some major punishment to keep his dangerous enemy occupied while his allies executed their parts of the plan. I won’t spoil the rest just in case you’re a few issues behind or waiting for the trades. How will their battle in I Am Bane’s finale go down, though? Well, you’ll just have to read it to find out! I mean, technically you can get spoilers online, but come on, where’s the fun in that? Read the full issue for all of the context, people!